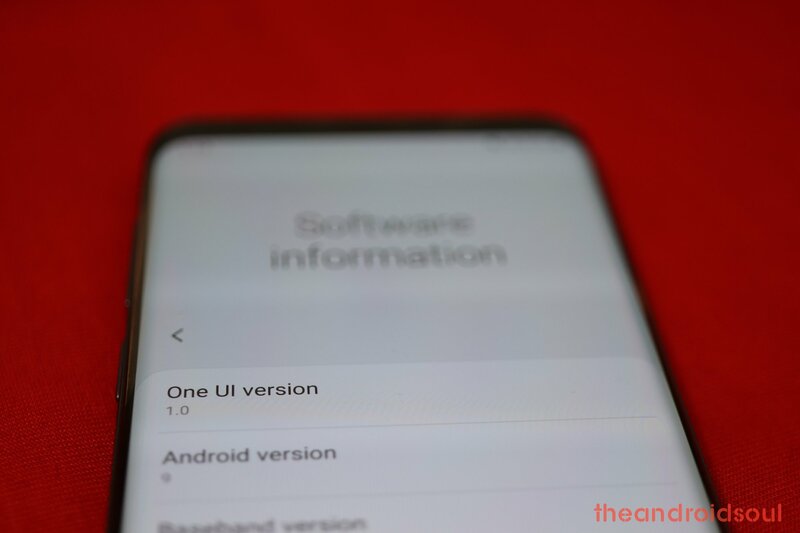 Update [March 04, 2019]: T-Mobile has released the Android Pie update topped with One UI custom skin for its Galaxy Note 9 units. The update arrives as software version CSB3, and is already available for download below. Look for the software version N960USQU1CSB3 below for download links. Update [February 11, 2019]: We have now added the link to the firmware file for Android Pie update for the Note 9 handsets in the US. The update is identified as software version CSAA, with the file version being N960USQU1CSAA. 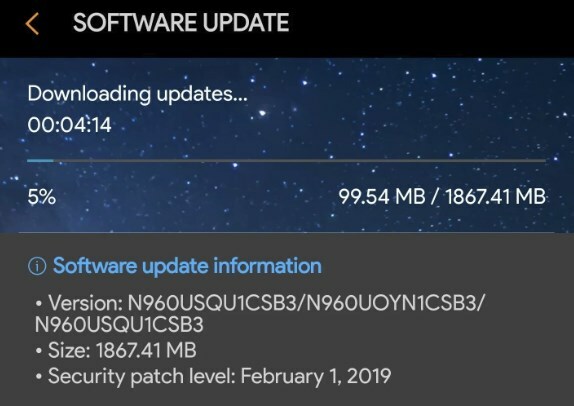 Update [January 14, 2019]: Firmware file for the Android Pie update for Galaxy Note 9 is now available, but only for the N960F model. So, the installation guides for the N960F and N960U models is now different. The CSA2 update is now available for download, BTW. 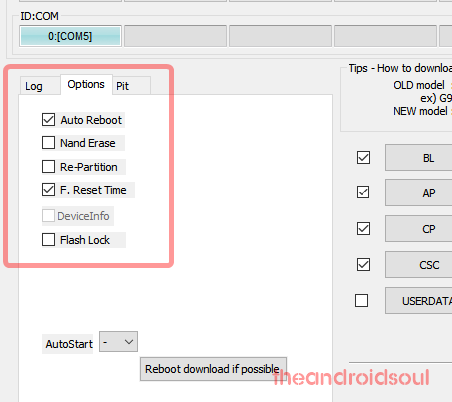 Check the downloads section below to download the CSA2 firmware file now, and install it on your Note 9 model N960F using the guide given for the stable update below. Update [January 12, 2019]: We have added new builds for both the stable and beta ROMs. For N960F, we have added a new update CSA2 that can be installed over the CRLT build. Second, for the N960U/U1/W, we have added CSA7 and CSA6, both of which are to be installed ARJA build. Installing ARJA requires special Odin software (also available for download below) and will result in factory reset when installed. So, be sure to create required backups already before you installing Oreo ARJA build, and then Android Pie CSA3 build. Update [January 04, 2019]: Stable version of the Galaxy Note 9 Android Pie update is now available. The official update for the public arrives as software version N960FXXU2CRLT. 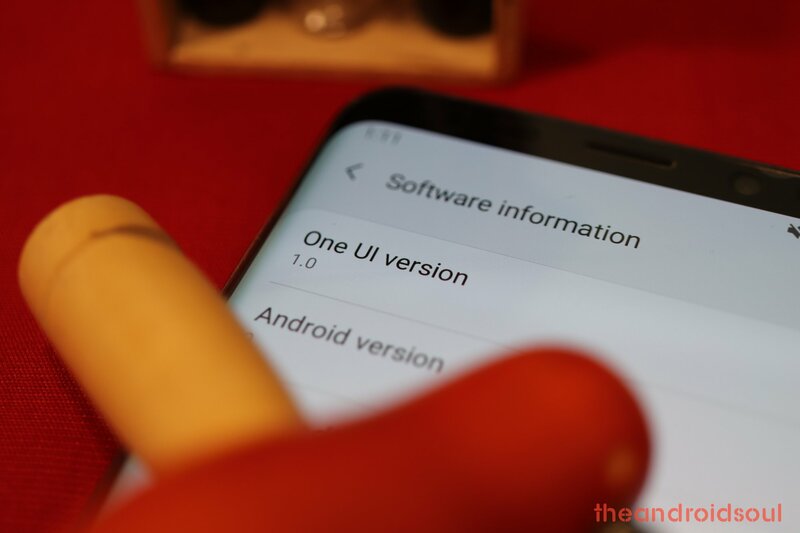 OTA update CRLT can be download and installed manually using the guide below, though, so if you do not have the patience to wait for Samsung to push the update to your device, you can install it manually on your own now. Samsung’s One UI is the hottest thing right now when it comes to the software side of the Samsung phones. Because, well, if you talk hardware, things are admittedly even far exciting as you have the revamped Galaxy S10 in the works, and the mind-boggling Galaxy Flex foldable phone that may be priced so steeply you will start to appreciate the $1000 costing Galaxy Note 9. 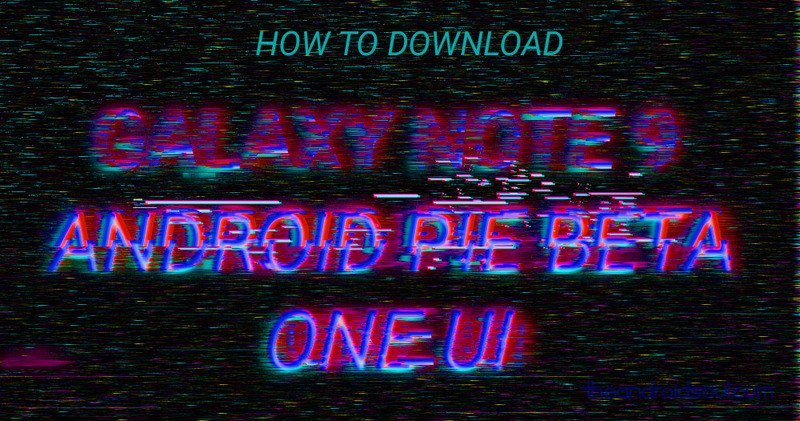 While the Galaxy Note 9 will definitely receive the Android Pie update directly from Samsung a bit later, the good thing is, you can not install it manually on your device, if you have the model no. SM-N960U with you. Do not try anything given on this page if you do not completely know what you are doing. In case any damage occurs, we won’t be held responsible. This guide is compatible only with Galaxy Note 9 smartphone from Samsung. Do not try this on any other device from Samsung or any other OEM as you might end up damaging your device and permanently brick it. Make appropriate backup all your important data, music and video files, and everything else as there are chances your devices will be wiped while doing this. See the guide for installing the stable update below for this. Step 1. Download the firmware file of stable Android Pie update from the downloads section above. Make sure you have downloaded the correct firmware file on your PC. Step 3. Also, download Odin PC software (latest version). Step 4. Extract the firmware file now. You can use free software like 7-zip for this. Install 7-zip, then right click on firmware file and under 7-zip, select ‘Extract here’. You should get files in .tar.md5 format now. (You may a bunch of files, and you will find text like AP, BL, CP or CSC etc. written at the beginning of those files.) We will be loading this file into Odin, to be installed on the device. Step 5. Extract the Odin file. You should get the Odin exe file (other files could be hidden, hence not visible). Step 6. Disconnect your Galaxy Note 9 from PC if it is connected. Power off your device. Wait for 6-7 seconds after the screen goes off. Press and hold the three buttons Volume down + Bixby + Power together until you see the Warning screen. Press Volume Up to continue to download mode. Step 8. Double click on Odin .exe file (from step 5) to open the Odin window as shown below. Be careful with Odin, and do just as said to prevent problems. Step 9. Connect your device now using the USB cable. Odin should recognize your device. It’s a must. When it recognizes, you will see Added!! message appearing in the Log box in the bottom left, and the first box under ID:COM will also show a no. and turn its background blue. Look at the pic below. You cannot proceed until you get the Added!! message, which confirms that Odin has recognized your device. If you don’t get Added!! message, you need to install/re-install drivers again and use the original cable that came with the device. Mostly, drivers are the problem (look at step 2 above). You can try different USB ports on your PC too. Step 10. Load the firmware files into Odin. Click the AP button on Odin and the select the .tar.md5 file from above. See the screenshot below to find how the Odin window will look like after you have loaded the files. Click on BL tab, and select the file beginning with BL text. Click on AP tab, and select the file beginning with AP text. Click on CP tab, and select the file beginning with CP text. [Different!] Click on CSC tab, and select the file beginning with HOME_CSC text. If HOME_CSC file isn’t available, then select the file beginning with CSC text. About CSC file: Using the HOME_CSC file won’t reset your device, and data on the phone shouldn’t be deleted. However, when we select a regular CSC file, and it results in CSC on the device being different than that in the CSC file, your phone will be formatted automatically. You can even choose to ignore loading the CSC file, that may do alright too. But if it doesn’t work out, repeat the whole process and select CSC file this time around. Info: When you load files, Odin checks the md5 sum of firmware file, which takes time. So, simply wait until that’s done and the firmware file is loaded. Don’t worry if Odin gets unresponsive for a while, it’s normal. Binary size will also show up in Odin. Step 11. Click on Options tab, and make sure Re-partition checkbox is NOT selected. Don’t use the PIT tab, ever. Go back to the Log tab now, as it will show the progress of the firmware installation when you hit the start button in the next step. Step 12. Verify that everything is okay as mentioned above. When satisfied, click the Start button on Odin now to start flashing the firmware on your device. Wait till installation is finished, after which your device will reboot automatically. You’ll get PASS message as shown below upon successful installation from Odin. Some errors you may run into, and with respective solution. If Odin gets stuck at setup connection, then you need to do this all again. Disconnect your device, close Odin, boot device into download mode again, open Odin, and then select the file and flash it again as said above. If you get FAIL in the top left box, then also you need to flash the file again as stated just above. Do let us know if you need any help regarding installation of Android Pie update on your Galaxy Note 9.